When I was in 6th grade at Cedar Crest Middle School my class went on a field trip to Hershey, PA to see the Go For It! Roadshow. This was around 1997 or 1998. The Go For It! 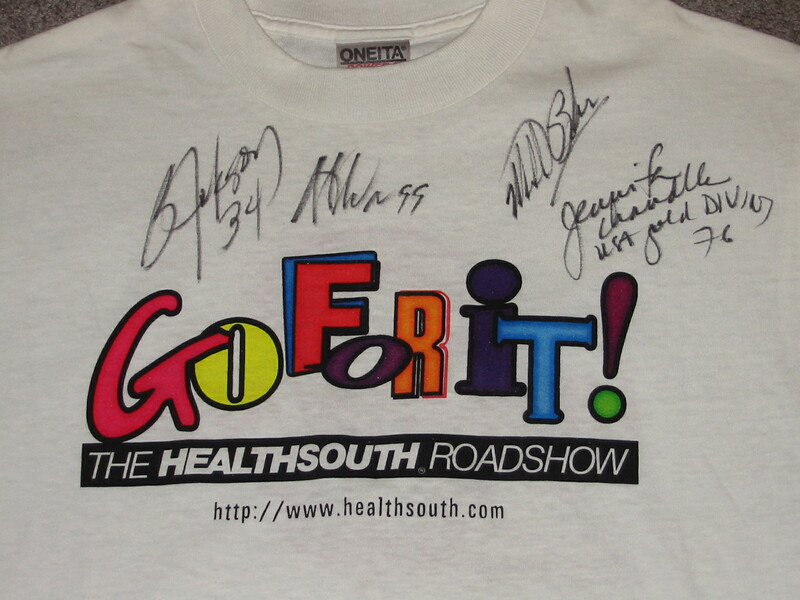 Roadshow was an interactive educational health event for kids and was operated by the HealthSouth Corporation. It was meant to promote healthy living and exercise. The show ran from 1995 to 2003. 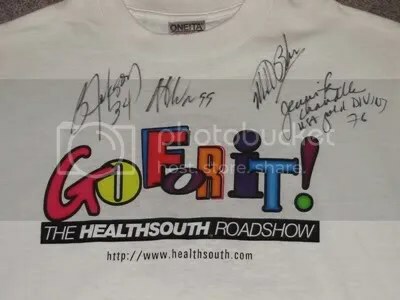 In 2003, a major accounting scandal unfolded at the HealthSouth Corporation and the show was canceled. I wasn’t sure what to expect when I found out we were going. All I knew was that I didn’t have to sit in the class room for a good portion of the day. When the show started, I quickly discovered that professional athletes were involved in it. 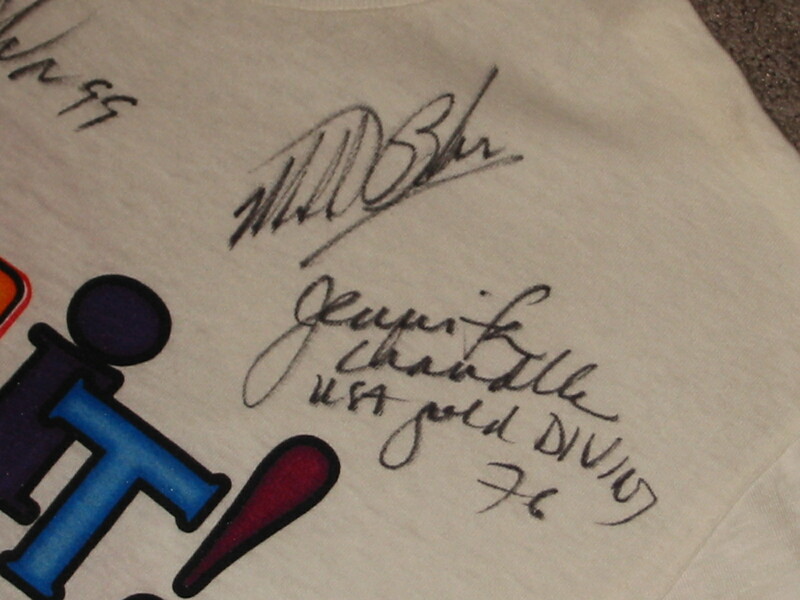 During the show, Bo Jackson walked by where I was sitting and handed me a t-shirt signed by all the athletes involved with this particular show. Here are a couple of photos. 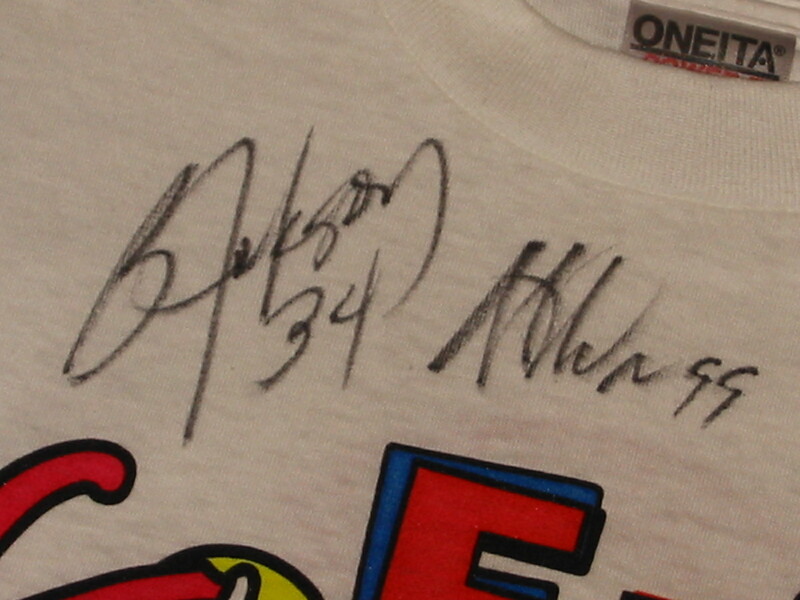 Does anyone have an idea whose signature that is next to Bo Jackson? I’ve never known. The mystery signature is of former NY Giants linebacker Steve DeOssie.